Milon in Washington DC: Run in the rain. Arlington is offering gloomy weather and rain today. A little bit like how I feel. 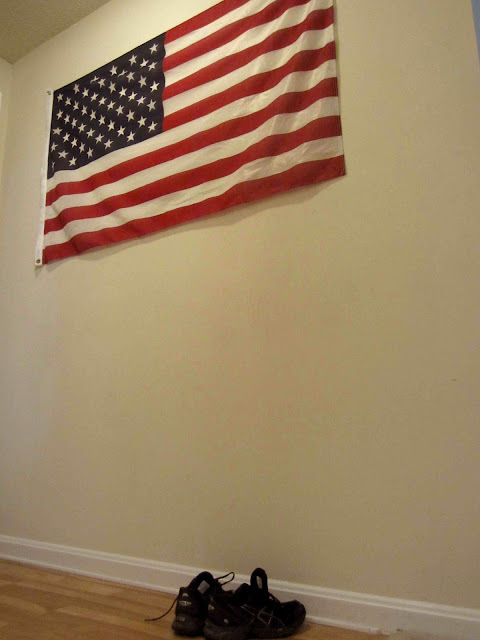 I've taken down the flag. The running shoes are waiting for me and I'll head out in the neighborhood in spite of the rain. Oh dear. This is all so surreal.